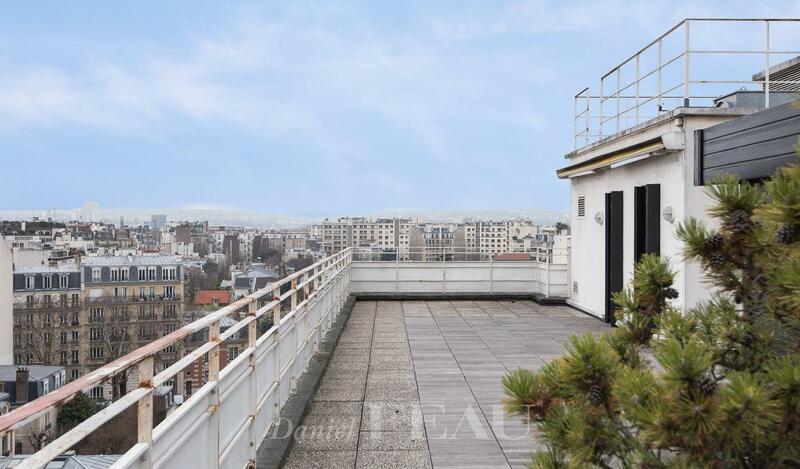 This bright and peaceful apartment is on the top floors (7th and 8th) of a recent building located in a secure no-through road located a stone’s throw from Auteuil Village. 153 sqm of living space includes a floor through east and west facing triple living/reception room with an open-plan kitchen (opening to each side onto a balcony), a bedroom with a bathroom, and a laundry room. The upper floor comprises two bedrooms with shower rooms, and two superb 147 and 26 sqm terraces hidden from view and enjoying panoramic views of the capital. The apartment benefits from no facing neighbours. With two cellars. A parking space in the building may be acquired for a further 52000€.